Sumatra PDF is a free PDF, eBook (ePub, Mobi), XPS, DjVu, CHM, Comic Book (CBZ and CBR) reader for Windows. Sumatra PDF is small, portable and starts up very fast. Simplicity of the user interface has a high priority. This software is available in two versions, one is the normal installer and the other is the portable one which can run without installation and doesn't write to the Windows registry. 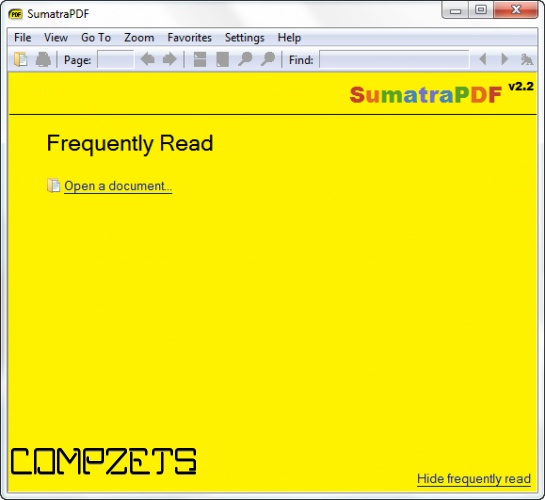 Besides basic features like zoom and print, Sumatra PDF supports various viewing modes, e.g. full screen and presentation mode, keyboard shortcuts and command-line arguments. The PDF Reader also includes a plugin that can be installed during setup for viewing PDF documents in Firefox, Chrome and Opera.